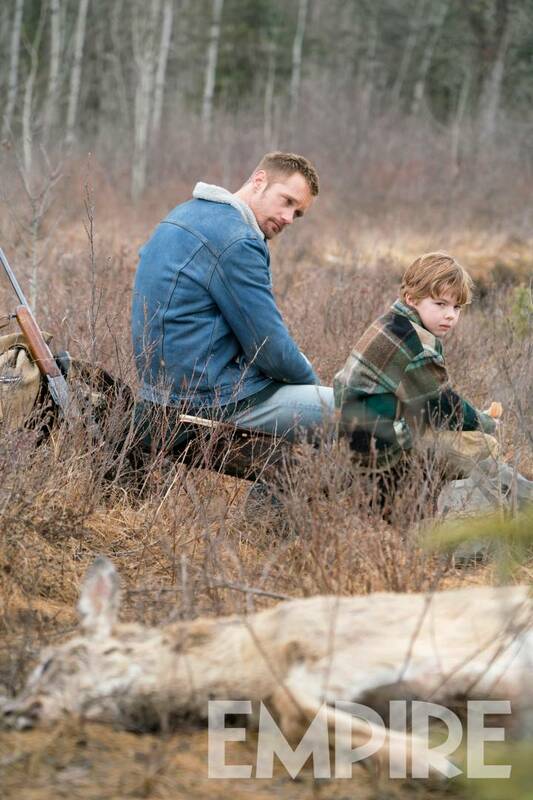 First Look At Jeremy Saulnier's 'Hold The Dark', Says Film Has His "Highest Body Count"
Jeremy Saulnier is one of my favorite directors working today, having impressed with his indie revenge thriller Blue Ruin and Nazi siege flick Green Room. It helps that I'm always the guy who gets called to do his Q&As when he's in town. Anyway, his next film, Hold the Dark, was due to premiere at Cannes but because of their feud with Netflix we have to wait for it a while longer. 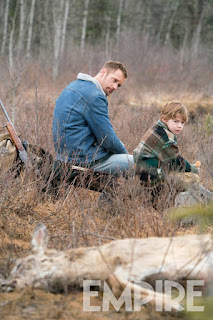 Fortunately, the first image has arrived featuring star Alexander Skarsgard and young co-star Beckham Crawford, who plays his character's son. The film takes place in the remote Alaskan village of Keelut where a series of child disappearances have been suspected to be the result of wolf activity. Jeffrey Wright plays a wolf expert brought in to track the wolves down, but he's being followed by the grief-stricken father of one of the missing children. Hold the Dark hits Netflix on September 28th.